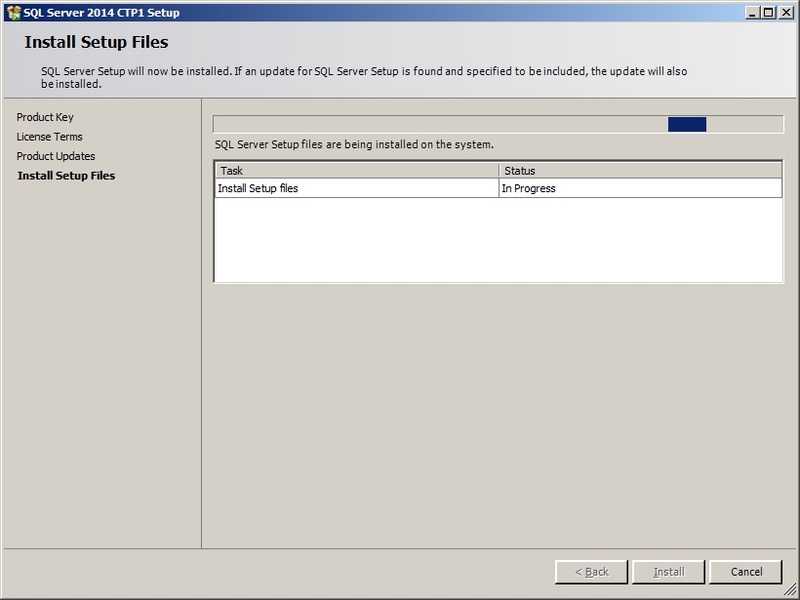 Installing SQL Server 2014 CTP1 – My experiences! 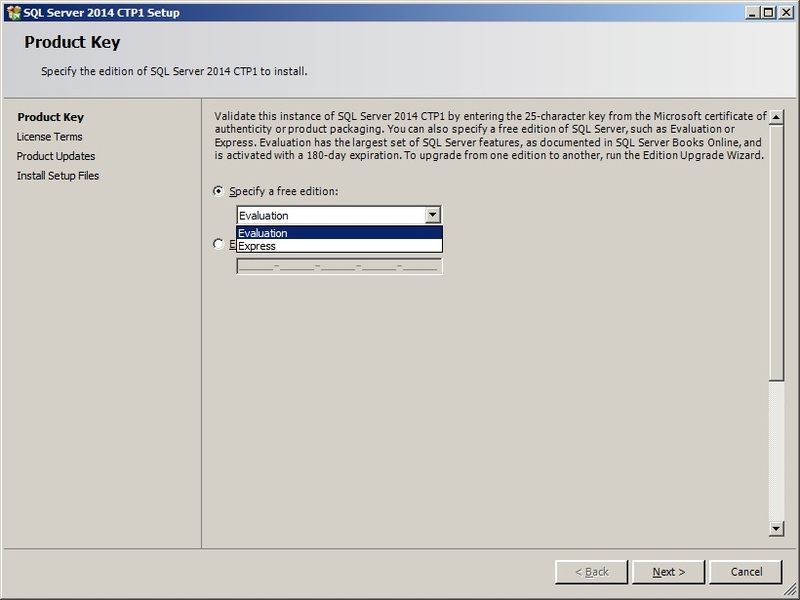 Hey Folks….Let me share my experiences with Installing SQL Server 2014 CTP1 which got released couple of weeks ago. It was pretty straightforward if you are already aware of Installing SQL Server 2008-2012(With few GOTCHAS). I tried Installing on Windows Server 2008R2 and I got the below shown message. So…now you know what you need to begin with. Then it did checked setup rules, then asked me to select the Version and blah blah, selected features without any Issues as shown below. Here came the trouble. 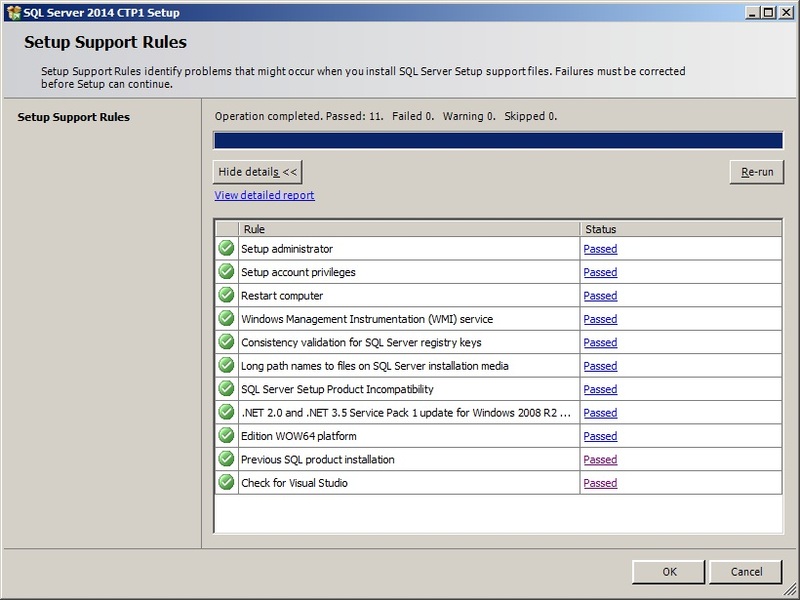 Setup process terminated right here asking for .Net framework 3.5 Sp1. Whoooops! 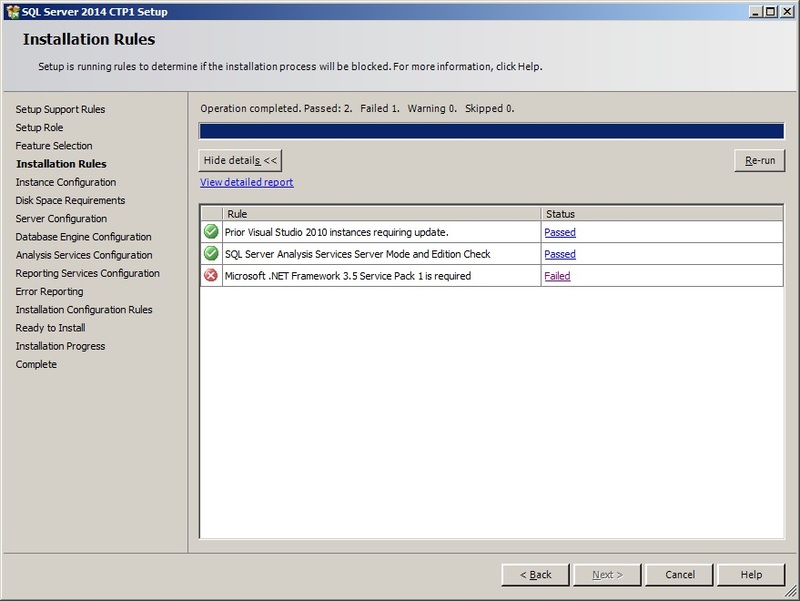 Make sure you are running on required Service pack at minimum (in my case it was SP1 for Win 2008R2). 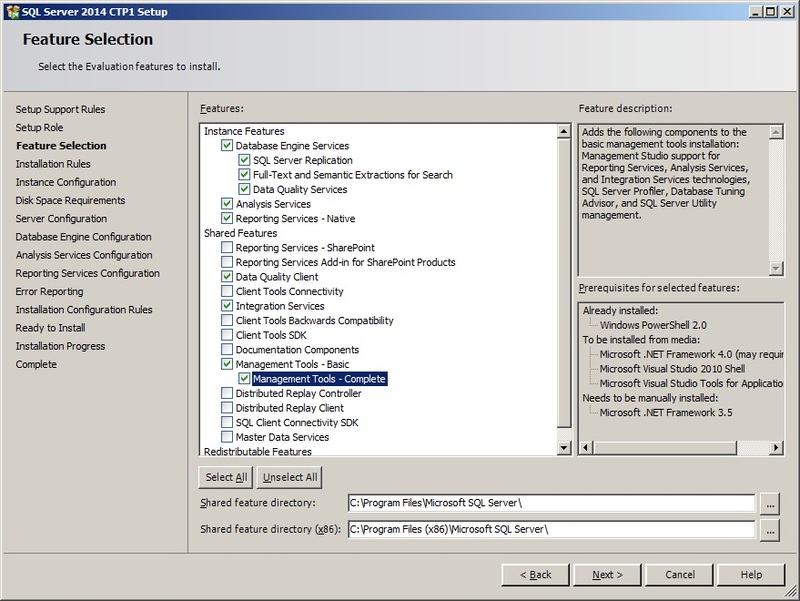 Enable .Net Frame Work 3.5 SP1 ahead of Installing SQL Server. SQL Server 2014 CTP1 doesn’t support side-by-side Installations(Bummer, so you need a new machine(I built a new VM in my case) without any previous versions of SQL installed on it). Well, IMHO it’s always better to build a new VM for playing/testing/learning CTP’s or any new Softwares/Versions. 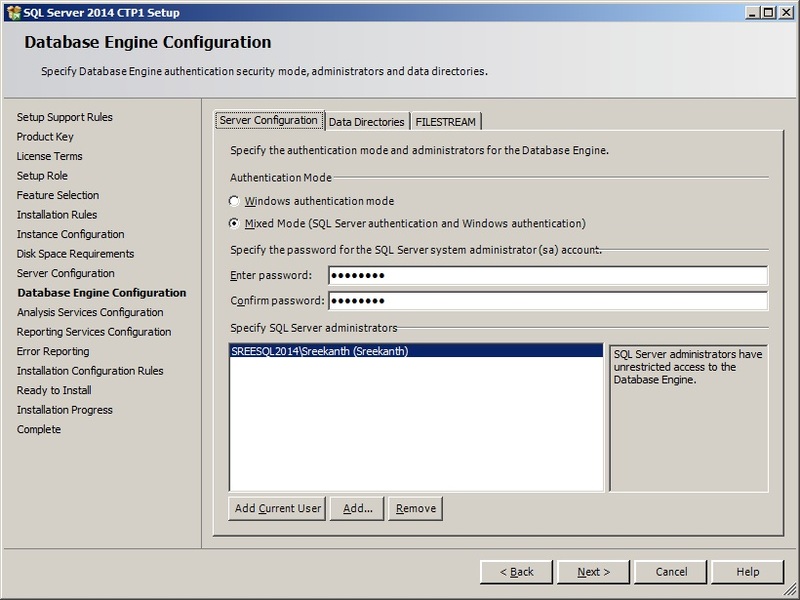 SQL Server 2014 CTP1 should be managed/connected using only SSMS which comes with SQL 2014 CTp1. Install it for yourself and get started playing with brand new features of SQL Server 2014 🙂 Have fun……. Next Article SIMPLE Recovery Model Database waiting on LOG BACKUP!!!! 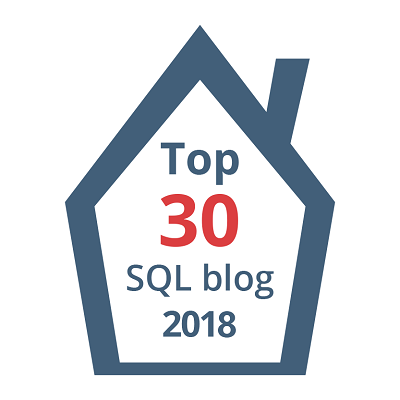 Thanks for sharing you SQL adventures! Helped me troubleshoot some issues I was having on 64 bit.